I've tried a lot of mascaras in my life. From long, tapered wands with Twiggy-level formulas to short, curvy bristles that are infused with volumizing fibers. You name it, I've used it. Through all my trials and tribulations, I've found plenty that do what they say — and even more that don't. But I've never found one mascara that can do the impossible: curl my stubbornly straight lashes. Having downward-facing lashes is a real pain when trying to achieve a lifted effect. My tiny, almost invisible eyelashes consistently disobey the direction I curl them in — and worse — often point right into my eyes. They also shed directly into my eyes, which means I've spend approximately 60% of any given work day suffering through a blinding sting from a rouge lash. Impervious to most mascaras and eyelash curlers, downward-facing lashes are stubborn and almost impossible to curl. At least I thought this until I found MAC's Up For Everything Mascara. Proof: Left lashes are twice coated in MAC's Up For Everything Mascara while the right lashes are bare. The mascara's name — Up For Everything — implies that, like my college roommate willing to go to the bar even though she had 7 a.m. class the next morning, it would be up for everything and anything. It promises to last 24 hours (why I'd ever need to keep makeup on for that long is still beyond me, but I appreciate the dedication), resist smudging, and coats my lashes in a dramatic jet-black paint. But it wasn't until I came home after work — and a full eight hours of wearing the mascara — did I discover its hidden talent: curling straight eyelashes. Not only did it lift the lashes that faced downward, but it prevented my normally straight strays from wilting after a few hours. Finally, a mascara that does it all. 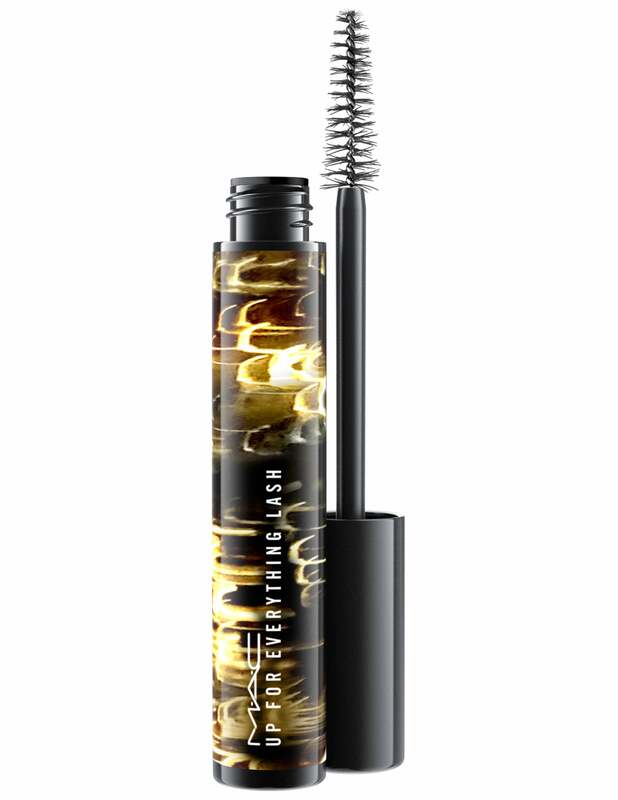 Consider it an added bonus that the mascara comes with its own waterproof-busting cleansing oil for easy removal. I wish I could pinpoint exactly how this mascara does it. Perhaps it's the waterproof formula that refuses to flake or smudge — even after you accidentally rub your eyes from a sudden allergy-induced itch — or maybe it's the shape of the wand that's doing the magic. Frankly, I don't care. All I know is my wallet is about $70 richer for skipping my last lash lift appointment and I know that, for as long as I'm using this mascara, my lashes are up for everything.... literally.